This exquisitely elegant necklace is a beauty to behold. Made from 9ct white gold, a dazzling diamond display totalling 4ct presents graduating sized set stones. 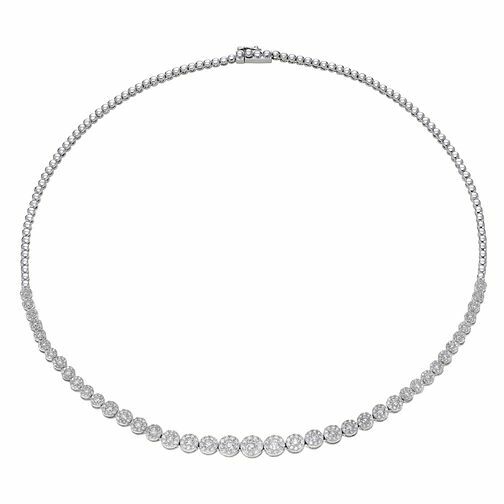 A timeless, shimmering necklace.